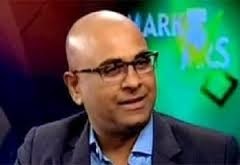 Vijay Kedia - MD of Kedia Securities, who forsees Sensex at 100,000 in 2020, is an admirable investor in Indian stock market. He is holding a whopping 2.5 lakhs shares of Cera Sanitary Wares. His biggest success story so far is Atul Auto where he bagged 5700% returns in 9 years, which means his money has compounded at an dazzling CAGR of around 57%. In early 2012, he rightly predicted that we are at the beginning of a structural bull run and many of the analysts laughed at him. Now by the time people have realized that we are in a bull market, stocks had ran multiple times, ahead of all of us. In 2017, he optimistically mentioned that falling interest rates in fixed deposits, the fading shine of gold, black money exiting from real estate, better regulation of exchanges by market regulator SEBI and good performances by mutual funds (MFs) is attracting a never before kind of inflow into the stock market. 1. Vijay Kedia added Everest Industries in last quarter. He bought 388336 shares of Everest Industries. Vijay added Everest into his portfolio because of the products which the company produces. It is used in villages, towns and metropolitan cities. It touches the lives of lower, middle and upper classes of the society. 2. Kokuyo Camlin Ltd, mostly known as Camlin Ltd, is an Indian stationery company based in Mumbai, India. Kokuyo of Japan holds around 51% stake in Kokuyo Camlin. Camlin manufactures art materials, marker pens, fountain pens, inks, pencils, and other stationery products. Vijay Kedia believes that market rewards you as per your perception about the market. If you treat it as a gambling den, it will prove a gamble for you. Let us hear his words. "If one wants to invest in the stock market then he should be prepared for the worst to happen. If we look at the current scenario of the Indian economy then one should invest with the assumption that Greece, Spain and few more countries could collapse, the value of Rupee against dollar could depreciate even more, GDP rate might grow at 5 to 6%, fiscal deficit can be assumed to be 6%, crude could cost 100 Rs. and the Government could fall. Any and every investment in stocks always has a content of speculation. One key factor that should be understood by investors is that one should invest a part of one’s savings not a part of one’s earnings in stock market." Hold for Longer Term: Vijay Kedia believes in buying stocks with a long term view of at-least 4-5 years. He advises his clients and readers to hold stocks till 2020 to ripe the full benefits. Buy Good Business at Bad Times: Vijay Kedia's picks like Apar Industries, Sudarshan Chemical and Repro are added into his portfolio foreseeing their better future ahead and not based on current performance. This need great conviction and study before picking up the stocks. 1. Create a fixed income outside the market for your livelihood: Never be dependent on the income from the stock market because it is volatile and unpredictable. 2. Be informative and read a lot: The market rewards you as per your perception. If you think investing is a gamble, then it is a gamble. If you think it is a business, then it is a business. Read a lot and be a maniac when it comes to reading; it will help you connect the dots. Warren Buffett once held up stacks of paper and said he read "500 pages like this every day. That's how knowledge builds up, like compound interest." 3. Invest a part of your savings, not the earnings, into stocks: So if you have decided to invest 25% of your savings in stocks, invest 12% to 15% as it is a risky business. Also you should only invest a certain amount based on your risk-taking capacity. 4. Don't trade and don't leverage: Trading is a 24-hour business. Don't invest from borrowed money. Don't trade just because you see someone making money by trading. 5. Invest only for long term. Minimum time frame is five years: Rome was not built in a day. It takes time for a story to mature. I always invest in small caps that go on to become mid to large caps.Whenever I bought a small cap, people discouraged me. No one liked the stock. For two years the company went nowhere; after that it gave multibagger returns. 6. Invest only with the best management and let them worry about the company: If you invest with the best management, you don't have to worry. 7. Your investment belongs to the market and the profits belong to you: As long as you are invested, the profits belong to the market. Don't spend just because the stock has risen because tomorrow stock prices can collapse. 8. Book profits periodically: Invest profits in buying a house which is very important. 9. Keep a balanced mind: Don't be optimistic in an up market, and don't be pessimistic in a down market. Be physically, financially and mentally sound.He explains how one should avoid regret. He says a stock can go up after you sell it. Don't regret. The stock market is a place of regret. You make money, you regret. You lose money, you regret. You make less money, you regret. That is why it is very important to keep a balanced mind. 10. Luck plays a crucial role. Do good karma: Be a good human being. The stock market is a mind game. If you are doing good karma, it will come back to you. 1. Invest in credible management. 2. Invest only for long term. 5. Practice yoga and meditation to keep a healthy body and pure mind. March 2019: Investing in the #stockmarket market is like playing a cricket match, your mentality and risk appetite determines if you are fit to play T20, 50-overs ODI match or a five days Test match. Feb 2018: One shouldn’t evaluate the budget only from the perspective of the market. Whatever is good for the overall economy and larger part of the society, is good for the country.Whatever is good for the country is good for the market.10% lcgt is still d lowest compared to other assets. Nov 2017: Don't leverage, don't get over excited. Keep a balanced mind. Always remember, any stock can fall 10- 20% and more anytime in any kind of market, without any warning. Invest only in quality cos for long term, to stay happy and fearless. 05 Feb 2017: Vijay Kedia Tweeted : The right idea, in the right hands, at the right time can change the way we lead our lives. 29 Jan 2017: Vijay Kedia Tweeted :In my view, 'Housing Finance' sector could be the next market leader. 18 Jan 2016: Vijay Kedia Tweeted : All my stocks are down 5-25%. Happened many times in my life. But they are clean, best managed and have a vision. So less worried. 12 Jan 2016: Vijay Kedia Tweeted : Mid caps also started falling. Strength & Diff. between good & bad, clean & unclean, high debt & low debt cos.will be tested & established. 11 Jan 2016: Vijay Kedia Tweeted : If we smoke we may die in 10/20 years. In trading in F & O we may die next day. 06 Jan 2016: Vijay Kedia Tweeted : Remember in markets, stupid action does not have equal but severe opposite reaction. Be careful. 07 Dec 2015: Vijay Kedia Tweeted : 90%of my stocks did almost nothing in 80% of their time. What all they did was in the remaining 20%. Patience is a virtue. Lykis Ltd. is missing from the list. Vijay Kedia owns 31% in Lykis Ltd. Check the promoters shareholding. He is the promoter there. Rs.40 crores holding there. He has NIIT and other stocks as well. He has NIIT as well. What about gati, welspun syntax, aashiana housing, pennar, atul auto etc. Please update. What is Mr kedias latest 2016 stock pick ?